First Command Insurance is a division of First Command Financial Services. First Command serves military families in order to improve their financial well-being. They recently, have begun to serve families of federal employees as well. While First Command includes selling several insurance products as part of their services, they do not; however, sell, not have they ever sold, health insurance. Find companies that sell health insurance in your area. Click here and enter your zip code to get started with a list of health insurance rates from several local companies. First Command Financial Services was founded in 1958 by Caroll Payne. Payne was a retired military officer who realized that military families were in need of financial assistance. The company he started was called United Services Investment Association. This was later changed to United Services Planning Association. The name of the company did not become First Command until 2001. In the mid 1960s, Payne realized that insurance to protect one’s family and financial assets was an important part of financial planning. It was at that time that the company first began selling Life Insurance. Other insurance products were not added until several decades later. 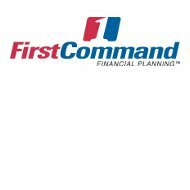 First Command maintains that they believe in a disciplined and long-term approach to saving and investing. Part of this approach must include insurance to protect your financial assets. First Command is currently led by CEO, J. Scott Spiker and serves more than 284,000 military families. The company is located in Fort Worth, Texas, but is licensed in all 50 states plus Washington, D.C.
First Command can be contacted via several methods if you have questions about any of their services, need to speak to a financial advisor, or need to file an insurance claim. First Command also has an internship program for interested college students. While a majority of their financial advisors are retired military officers they are an equal opportunity employer. If you are interested in more information or wish to apply for a job with First Command, you can send an email to [email protected]. A few years ago, First Command employees wanted to do something to give back to soldiers serving oversees and helps them to have a little touch of home. They developed the First Command Package Brigade. Through this charity, volunteers collect donations and prepare care packages to send to troops stationed overseas. This charity was a feature story on the program Good Morning America in 2008. Find health insurance quotes from companies in your area. By simply clicking here and entering your zip code, you can get a list of health insurance quotes to help you find the company that meets your needs.